If you are interested in anti-aging, detoxifying, and maintaining radiant health, or discovering what type of juice will heal and protect from just about every ailment, then this is book for you. In an easy, fun read, Ron provides detailed nutritional information about all of the common fruits and veggies in your supermarket, plus 20 years of personal juicing tips. 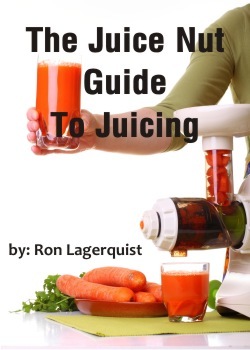 Everything you need to know about juicing in one book! The fruit diet program has been crafted for four purposes: detoxification, healing, weight loss, and breaking food addictions. Over the course of the diet you will be flooding your body with the most nutrient-dense, detoxifying, antioxidant-rich foods in the world. The result will be measurable and dramatic: detoxification, healing, increased energy, smoother skin, less mucus, and reversed aging. 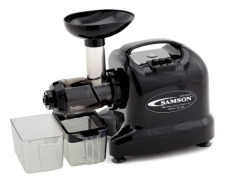 The Samson Advanced Juicer does so much more than produce the finest juice in the world. Baby food, frozen smoothies, nut butter, pasta, minced produce, wheat grass, and, with the added oil extractor attachment, it is able to harvest fresh oil from seeds like flax. 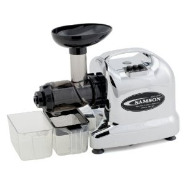 Due to the slow 80-RPM masticating action of the GE-Ultem™ hard auger, this juicer reduces the amount of oxidation, resulting in a higher enzyme yield compared to centrifugal-type juicers. The auger uses a press-like action, squeezing more of the colors from the fibers of produce, and this is especially true when it comes to hard greens like kale or wheat grass. More color means increased antioxidants in your juice. 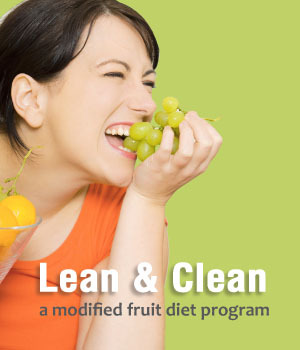 Lean & Clean - a Modified Fruit Diet Program! Very informative and credible and supported by all other vast research I do. I'll buy one if I can work out how to get to the checkout!! Is the juicepresso, a mastcating type of juicer, any good. Or the Hurom? The Hurom seems similar in operation,with some of the same GE components, perhaps less versatile, but $100 cheaper. With the price of fruits and vegetables, that ain't hay. great site ... love it. thanks for nutritional panels ... very helpful. onward!